Well, here it is, the first dress from my July Sewing Challenge (which is actually my second attempt at a dress. My first one went all weird - perhaps due to my complete and utter lack at being able to follow instructions. I just tend get a little bored with instructions sometimes and think I know more than I actually do. It's fixable but I need to wait for some white vintage cotton to arrive on my door step). I used the pattern on the right - the blue dress in the middle and then added the little cap sleeves from the pink dress. I think this is the perfect edition to my summer work wardrobe and I'm very excited about wearing it. 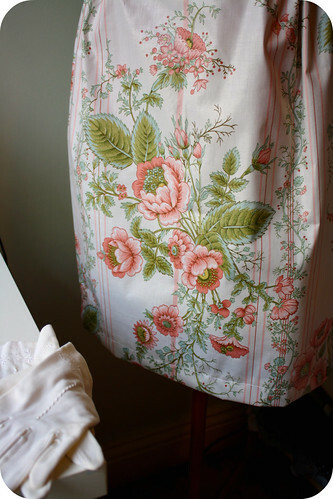 I used a vintage polished cotton to make this one and unfortunately didn't have quite enough to make the little dart folds in the front skirt of the dress. But I got a little creative and I think it looks relatively true to form - what do you think? 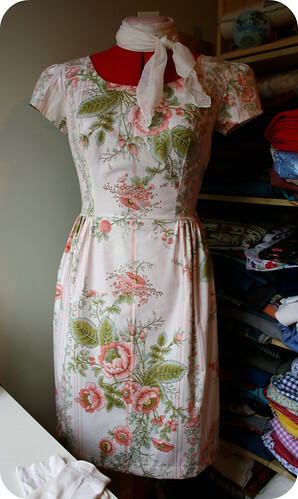 29 comments on "July Sewing Challenge - Dress #1"
Lovely dress with such a beautiful print. Great job! Really great darling, very beautiful vintage material, and you can't tell you didn't have enough fabric. You've lined it all up beautifully so the pattern of the fabric falls in just the right place. Your attention to detail is just astonishing. I have that pattern also, but sadly in a size that needs so much adjusting to make it fit me. Oh, it's beautiful! 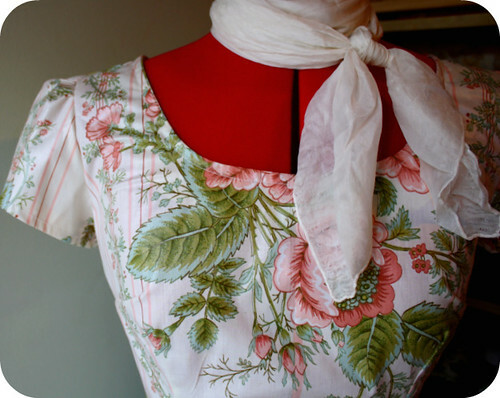 I love the fabric you chose, and the cap sleeves are gorgeous. Hopefully one day I will be able to sew as well as you. I love the red and green tints on the flowers--wonderful! That is absolutely stunning! Lovely choice of material and the dress just looks beautiful. You are indeed a very clever girl. I can't wait to see you wearing it! Will you model it for us soon? Pretty please?? You did a great, great job! 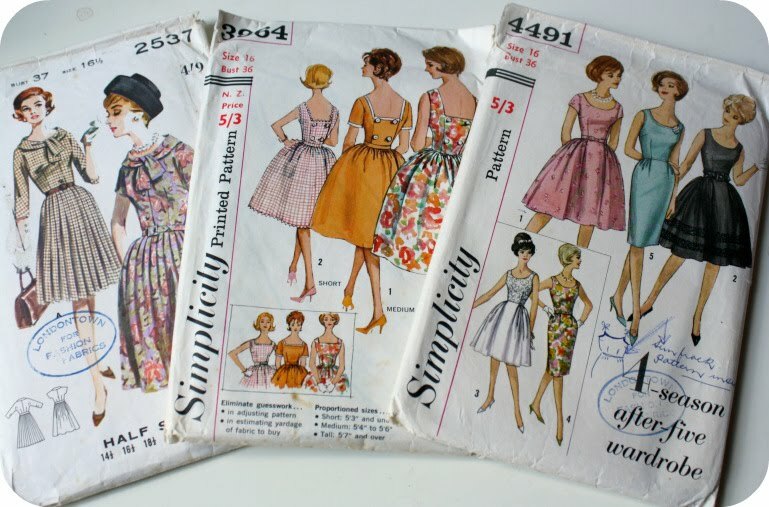 Can't wait to read your vintage pattern post! it looks so good! i'm jealous and inspired! That looks amazing. What a brilliant job you've made. I can't wait to see the next one. Beautiful! What a lovely wee job, can't wait to see it on. Fantastic! Can't wait to see it on you! Gasp! That is stunning! I love how you worked the pattern onto the front of the skirt! So beautiful! Gorgeous fabric - love it! Did you have any issues with vintage pattern fitting? Oh my! This is such a beauty! It is so pretty! And I bet it suits you perfectly. You made one! It's amazing, I love it! Oh this is so pretty! I love the fabric!